CloudGate LTE delivers a faster, richer and smoother wireless internet experience than ever before, while providing investment protection for evolving business needs. In addition CloudGate LTE is equipped with many new features: ignition sensing & timed wakeup – ideal for telematics and solar applications, expanded RAM, Flash and an SD memory slot – great for running more sophisticate applications on the CloudGate. 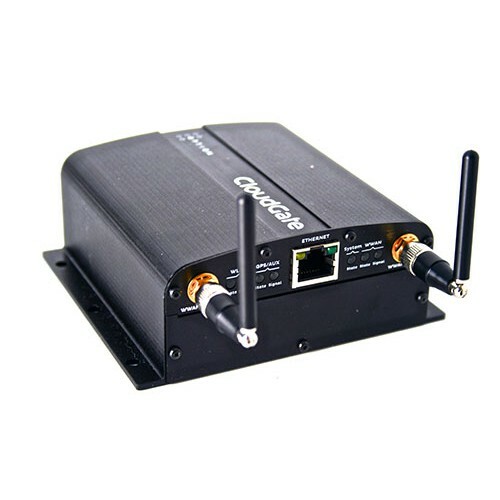 CloudGate M2M LTE Modem automatically resolves common problems associated with wireless M2M connectivity. Built in software and hardware watchdogs continuously monitor each component of the product and the product’s connectivity to home servers. In the event an issue is detected, the product proactively takes steps to re-establish connectivity. All software and configuration images are protected with digital signatures and have dual rollback images that allow the product to revert to previous working settings if an issue is detected. All management functions are protected by certificate and/or password based security mechanisms and all management actions take place over hardware assisted encrypted links. CloudGate LTE provides unique flexibility that allows customers and system integrators to tailor the product to their solution or even site specific requirements. CloudGate gateway incorporates two hardware expansion slots that allow the CloudGate to be enhanced with additional radio and/or wired interfaces. The expansion cards are simple and quick to install, allowing the field upgrade of the device when new functionality is required. All the design details of the expansion card are available to partners allowing you to add value with your own hardware products. 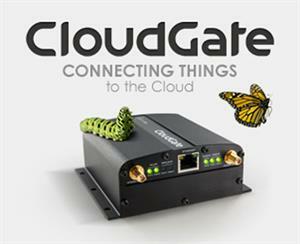 CloudGate LTE M2M allows simple integration and provisioning of customer or third party middleware and applications. The automated cloud provisioning system means that each device can be set with its own custom configuration and image that is automatically loaded from the cloud when it initially connects to the internet. Sierra Wireless AirLink LX60 comes in LTE Cat 4 regional variants, and a Global LPWA (Low-Power Wide Area) variant offering LTE-M/NB-IoT for applications where low data rates, enhanced cellular coverage and global deployment is required.